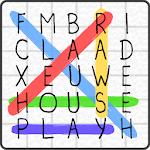 Word Search puzzle in English is a free game for the whole family where you will have to find the hidden words in the letter boards. Ideal for older people who want to practice the language, vocabulary and train their brain. Find the mixed words of different themes. The words can be hidden diagonally, horizontally, vertically or in the opposite direction. 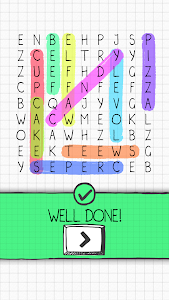 Sharpen your visual agility and discover all the scramble words! - Available in 8 languages: Spanish - Sopa de letras, Portuguese - Caça Plavras, English - Word Searches, French - Mots Mêlés, Russian - Поиск Слова, Italian - Parole Intrecciate, Indonesian and German - Wortsuche. - Fun designs and simple interface. 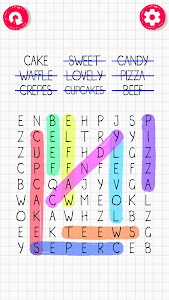 - Words search is totally free. - Adapted for senior players and the elderly. 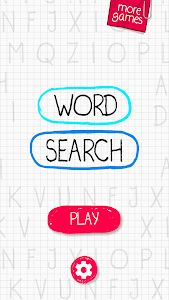 Word Search in English is a suitable game to train the brain and stimulate cognitive areas such as attention. Word search games help to focus attention, work on it and teach comprehensive search techniques for seniors and people of all ages, helping both selective and sustained attention. For older and little ones, there is no age limit to play word search. This type of mental games are great puzzles to train the brain of those who do it habitually, one of the keys to maintain a healthy mind. 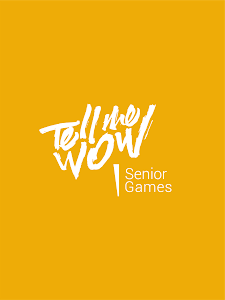 Tellmewow is a mobile game development studio specialized in easy adaptation and basic usability which makes our games ideal for the elderly or young people who simply want to play an occasional game without major complications. If you have any suggestions for improvement or want to stay informed about upcoming games, follow us on our social networks. ♥ Thank you very much for playing Word Search! ⭐️ Ideal game to stimulate attention. ⭐️ Available in English, Spanish, French, Italian, Portuguese, Russian and German. ⭐️ Game for all ages: children, adults and seniors. ⭐️ Thousands of words to find. We are happy to receive your comments and suggestions.